Vancouver Laundry Service - Try our service. Dirty sheets can lead to a whole array of problems when running a hotel or restaurant style establishment. Suggestion: try Vancouver Laundry Service. You may find yourself having to spend valuable time and money taking care of the items that are crucial to the maintenance of your customers optimal dinning and/or resting experience. Without sacrificing energy or customer satisfaction you should look into a service that not only cleans, but refreshes your linen cloths and spreads to show that you are the cleanest, most clean business around. One massive mistake in operating any business is having to do maintenance on public relations, especially when running a localised operation. One wrong move will lead to an unhappy customer that will then grow your mistake by word of mouth into a storm of bad comments and dissatisfied remarks about how you did not meet up to your customer’s expectations. Having a dirty resting or dinning place will also deter people at the door, and will automatically put you in the worst position possible right from the start. To avoid this, any successful business owner knows to obviously wash their sheets to insure these problems don’t arise, but we all know that doing so will result in either you or and employee taking their time else ware to do the mass cleaning and straining of your fabrics to make sure that they are as good as new. There is however a solution to save you the precious time and resources for your business. Local Vancouver laundry services in your area can be accessed to process your needs for a large quantity of fabrics to be handled. Outsourcing such a job can be as easy as picking up the phone and contacting someone to do these messy and time consuming services. Commercial Vancouver laundry service are commonly used by business such as restaurants and hotels for their incredibly large amounts of fabric that must be cleaned. Stains and other imperfections need massive machines to process the amount of fabrics in a timely fashion, which is near impossible when using a traditional washing machine. Similarly, this process would be incredibly difficult to do by hand which is why using outsourcing via an industrial laundry service is probably the most time and cost efficient solution to your needs in processing a large load of napkins, tablecloths, sheets, and other linen items. Another thing to consider is the quality of the machines you are using to wash these items as when going though cleaning and drying cycles, fabric can be lost and your items can even be severely damaged due to careless machinery operation. When using a cycle that is unfit to do its job, items can get stuck to the sides and lose large amounts of lint in the process, which will in turn cost you money. We recommend that you take into consideration the model and year that the machines were produced in to ensure that your items are receiving the care they need. When operating a large amount of laundry machinery it is important to take into consideration the dangers that comes with operating machines at this scale. Your average every day drier is a fire hazard in itself, but when operating machinery on a large scale it is wise to leave this job to someone else. Not only can you be at ease, but the next time you receive an inspection from your local fire department you can tell them that most hazards have been eliminated. Another danger to having laundry machines is the amount of water you need to mass wash loads of linen fabrics. If there is a malfunction or other problem that occurs to one of your machines, your carpets will suffer from the mass flooding and render your guests a bed experience when staying at your establishment. Electrical damage can also be a result of this which is why a professional business laundromat is recommended for use when washing large loads of fabric material. The most important thing however to making a successful laundry business work is the quality of people working at the establishment. Research is key when finding the right type of any business, but when it comes to your own business using the service it is even more crucial that you make the right decision. Operation and overall customer service are key to the optimal business experience, but when it comes to linen services you need to be careful as to who you let handle your fabrics. Factors such as machine age, condition, and size can affect many aspects of what you will receive in return. A large machine for example is optimal for large scale businesses, but not every laundry service has the capability to handle loads on the scale of a hotel sized accumulation of fabric. Condition and age of the machines used can also be a big problem you can run into as you may be dealing with a disreputable business. This is rare but can still go unheard of if you act on instinct when shopping for a laundry service. The overall care of your items is the number one priority, but before choosing someone else to do your laundry services for you, there may other things you can do to help keep costs low. Have you ever tried developing a system to keep you items organised? If you own a restaurant for example, maybe you need to have a certain number of napkins on hand in order to keep up with the flow of customers. Or maybe you are a hotel with a large rate of people entering and exiting your building to stay. A slow process for keeping up with the piles and piles of laundry will make things harder you to estimate when to go for a wash. Usually these processes are taken care of by maids and bus boys, but you may also want to consider adding an additional step to the process of gathering and using your items in your business. Adding a tally board with important information such as the totals for the amount of items you have can benefit you in the long run by having employees be notarised when a shipment of fabric needs to go out. In restaurants, napkins are used on a daily basis and the easiest solution to wash them is to wait for the end of the day to wash them. With a system in place however to wash these fabrics mid-day can let you put additional items on tables for your customers in order to stand out from other top of the line eateries. Organisation is key when running a business that solely survives based on the immediate impressions of customers. Another way to boost customer approval is to add certain aspects to your business that are unique to others in the smallest of details. Details matter, even when running a large corporation. You small business can leverage this fact and apply it to your fabrics and linen items to improve the experience of your customers. A great example of this is when walking into a hotel room for the first time, you find that the sheets give of a great aroma that makes the room come alive, while being warm to the touch. These impressionable experiences as essential when trying to recruit return customers in the future. On top of this, if you are a part of a hotel chain, you brand of hotels is now going to benefit from this exponentially in the long run. Now instead of people spreading bad news about your business, you can revel in the benefits of having a positive feedback loop going into your public relations department. When looking for services to wash your sheets and towels, also consider the quality of your employee’s uniforms to be procced alongside with your other items. Appearance is everything when working at the front desk, but even your waiters and maids need to look the part in order to show that your business is the most professional in town. This alone can be the deciding factor in whether or not you are able to successfully leave a good impact on your customers. This can also be useful for employee happiness as well when you take the responsibility to take care of their uniforms as an incentive to work for you. After hours operation of a business usually is when processing of dirty linen and uniformed items takes place, and this can leave you at a disadvantage when constantly controlling the machine that is your business. Hotels are the most susceptible to having laundry pile up twenty four hours a day, which is why you need to have multiple cycles of cleaning in order to keep up with the amount of dirty towels, sheets, and pillowcases that come into the basket all day, every day. Typically when trying to process mass loads of items you run into the problem of not being able to operate all of your machines at once due to electrical issues, so switching to a Vancouver laundry linen service elsewhere is generally a good idea. You can also have increased room to customize the way you can run your business when outsourcing. Most laundry services are fast, cheap, and reliable for you to use and will allow you to shape a plan around putting your items through the process of cleaning and drying. The distribution of items to your customers can be done by a company dedicated to giving you a quality washing service. When looking for a laundromat to process your fabric items don’t just settle of an ordinary business, seek out those who are willing to offer other options such as delivery and pre organisation to save you time in the long run. To process a large volume of sheets in a specific amount of time can be nerve racking and frustrating to your employees, which will result in a lower work ethic throughout the day. A boost in employee morale can help make your business more profitable by allowing more productive and effective work to be done in the day. Localised Vancouver businesses who need their linen taken care of should also consider the amount of money they can save on utilities when having another business take care of their fabrics. Owning and operating many machines of any kind is a hard thing to do, but when having to wash laundry it is even harder to make the decision on an investment in the sheer quantity machines needed for such as process. You need not only the courage but the expertise to operate a vast amount of laundry related equipment in order to do it properly. When having your laundry cleaned, dried, and delivered to you, that investment into a machine arsenal to take care of your fabric is out of the question. Long term, the machines themselves will not turn any profit, and will only continue to rust, rot, and depreciate while simultaneously costing you money to operate and be at risk of a disaster. Making the choice to do your own laundry is never a big deal until you scale it up, and there is no shame at letting someone else doing the dirty work when it comes to towels and sheets. Running a successful laundry business may be profitable, but in order to full maximize potential, a business in this niche must be diligent in the way they make their efficiency numbers clock in. Running machines cost money, a lot of money, and the initial investment is not even half of the problem. Every business owner knows that it is near impossible to stay stress free when managing operations. With everything at stake and so much to go wrong at any moment, it is important to stay cool under pressure and to be the best there is. With all of these obstacles in place, it is always a daunting task to make any form of business work. Major decisions such as investing as key factors however in making any good business plan come to life. Simple solutions are sometimes the only thing that is needed to get done. Linen services may in retrospect seem pretty simple is actually one of the most stress inducing jobs you can have. The entire business involves machines doing most of the work, which means that having maintenance done is the core of what drives the business. Maintenance is important but time and cost efficient in the greatest of ways. When something breaks, you are also losing money by the second until it is fixed, which is why mechanics are not cheap. With a linen service you may need someone full time to monitor your machines in order to keep them in working order twenty four seven. There is no risk without reward and owning a business that involves cleaning hotel and restaurant linen items should not be considered as light work or a not so viable business option for making a day’s pay. Every business has hard work and messes that someone has to do, and when owning a restaurant or hotel you should consider finding a better way to manage the messier side of owing such an establishment. Localised hotel laundry service can also give you a relationship that you can count on when trying to find a good business partner. Localised businesses are only grown through the town’s opinion and any sane person would not risk their reputation. Usually it is easy to find a decent service that you can take your fabrics to but sometimes shinny machines and fast cleanings are not what makes a business successful. The quality and value that you find in having a relationship is perhaps one of the most powerful tools in marketing, period. A trusted relationship with your laundry servicemen can lead to a better future that you can mutually benefit from. Having fresh clean sheets for your customers is just as important as you getting what you need from a localised laundry service. Counting on people to make your customers happy is generally not the best business practice but with the up front and long term costs of operating mass loads of laundry being as they are, making the switch to a local client is not the end of the world. If you feel that you are being an outlier when it comes to reaching out to a linen service then you do not have to fear this no longer! Many restaurants and hotels have been using localised laundry services to manage their items for years and it is clear why they chose to make the decision. They are taking their time and energy schedule and optimising it to their advantage. The number one resource that we all have equal is time, and the way you spend it can make a huge impact on the way you live your life. When making the shift to hiring someone else to aid your business note that they are not costing you money when times are tough. Remember that in the long run, their services are letting you avoid a risky and probably not sustainable solution to just one aspect of your business. Having others be a part of your team is usually the best thing to do, and there are generally never stories of people doing everything themselves. Teams are useful for bouncing information off of each other and hiring a hotels linen service is not different. Whether it be brainstorming ideas or heat drying towels, teams will accomplish more and turn a profit for your business. Ever wonder why businesses have surveys done? Probably when customers are asked to fill out a survey of some kind they are asked to list what stood out the most in their experience. This more often than not is generally where emotional effects show. When someone is displeased or pleased by something, they take note of it stronger than information such as pricing and appearance which is why it is important to bring out the best your business can be. Asking them to leave a positive review on its own will not make the good stick out in your business, you need a tipping point to make that feeling stick with customers throughout the stay. Some ideas for making a good emotional response come out of customers is having your towels and sheets themed to give a certain atmosphere to the environment. Keeping these items maintained is an important part in presenting your vision through a theme. Customers need more than just a clean blanket or table cloth to make their experience make them feel as if they were at home. In general, having a large amount of linen items hanging around your business is something that you must deal with on a daily basis, and maintaining these items is a hassle. In order to keep these items clean, you must then have the means to process them to give an acceptable experience. To do this, you need machines that cost thousands of dollars a year to operate and the manpower to organise and transport these items to their desired locations. This ads more hassle that eats away at the precious time your business has to use. In addition to this, safety is also a concern when dealing with highly flammable lint and high temperatures in such large quantities. This is why we recommend the smart business decision of outsourcing this tedious and costly process to professionals who only want the best for your business as well. 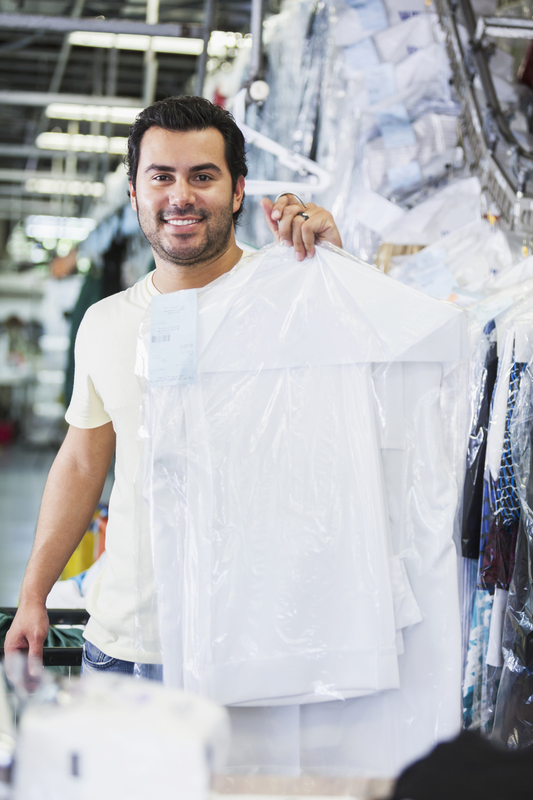 A locally owned Vancouver laundry service can provide you the service you need for making your cloths and fabrics clean for all of your customers. If you need a fast and effective way to make your customers happy and cut costs and save of time efficiency than you can count on a team of trusted individuals to make sure that you get what you paid for. The time is now to switch over to a Vancouver laundry service that will save you loads of money in the long run, and we hope this helped you make your decision to whether or not you want to leave your laundry to the experts to take care of in the future.